The 45th EPRA meeting will take place in Edinburgh from 18 to 19 May at the invitation of Ofcom. The meeting and main accommodation venue will be the Hilton Edinburgh Carlton Hotel. The Motel One Hotels and the Mercure Hotel, a few minutes further away, will provide additional rooms. Please book your accommodation in one of the four hotels via the links provided in the "Hotel Information" document. You are kindly advised to proceed with the bookings as soon as possible to benefit from the special rates. Please be advised that our hosts will charge a participation fee of 200 GBP per additional participant for delegations of more than two persons. Accommodation booking : As soon as possible! Country reports submission deadline: 13 April. We look forward to seeing you in Edinburgh, the Athens of the North, for a stimulating meeting! 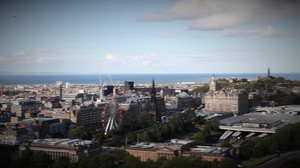 Don't miss the great video kindly prepared by Ofcom to invite EPRA delegates to the 45th EPRA Meeting in Edinburgh on 17-19 May 2017.